This is my third time in joining the meme Mellow Yellow Monday. 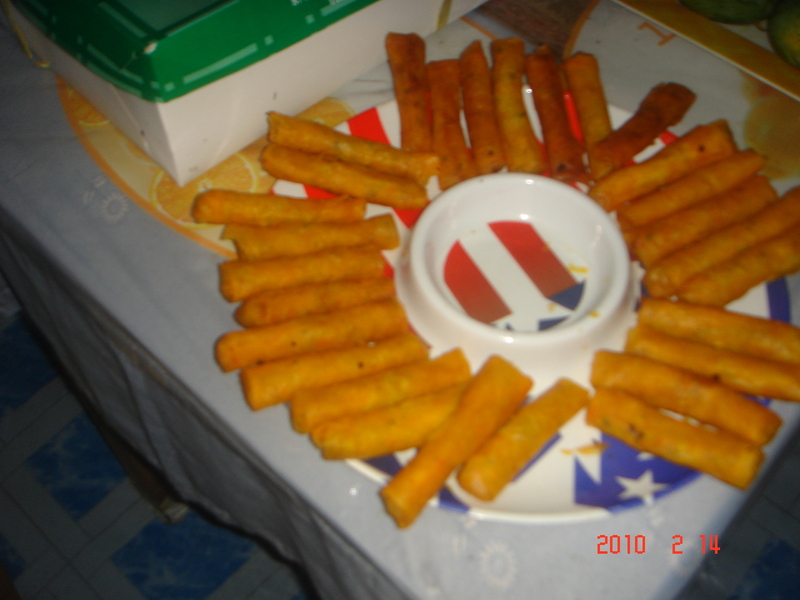 I wanna share this food made by Kuya olan. This is called lumpiang shanghai or pork spring rolls in english. It’s wrapper is not the ordinary one the you see in markets that is color white. What you can see is really color yellow. Not just because it’s fried. If I am not mistaken it is only available here in Baguio city. It’s much tastier just like what my mom’s officemates are saying. Have a try when you get here! Maybe the yellow wrapper is flavored,yeah?